The family will receive friends one hour prior to services from 10-11 AM Monday at Ferguson Funeral Home, 202 E. Main Street, (St. Rte 161W) Plain City where the funeral services will begin at 11 AM Monday, January 28, 2019 with Pastor Steve Hicks officiating, burial Forest Grove Cemetery. Memorial contributions may be made to the Loving Care Hospice, 779 London Ave, Marysville, Ohio 43040. WANDA MAE NAPIER, age 83, a long time resident of Plain City was called home to be with the Lord and those family members that have gone on before her, on Friday morning January 25, 2019, at her daughter’s residence. Born May 25, 1935 in Boone County, West Virginia. Member of the Hayden Enterprise Baptist Church. She loved her family which meant everything to her. Wanda was so proud of her 5 generations. 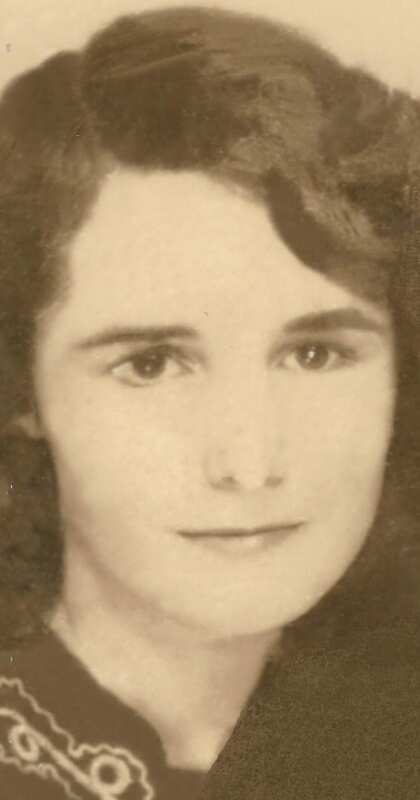 Preceded in death by her parents: John Edward & Vernie (Lacy) Gillispie; husband of 51 years: William J. Napier – 2001; son: Marvin Napier – 2014; son-in-law: Jerry May – 2018; brothers: Gilbert, James, Denzil, Billy, Bobby, Frenchie; sisters: Gladys Allen, Reba Mullins. Survived by loving children: Kathy May, Katherine (Willard) Smith, Roy (Peggy) Napier; 11 grandchildren: Shawn (Alice) Napier, Christopher (Mandy Souder) Napier, Jeramy May, Jaime May, Deborah (Matthew) Noe, Diana (Randall) Fields, Michael Smith, Sara (Adam) Clay, Brandon (Jodie) Napier, Craig (Sayward) Napier, Dustin Napier; grand-daughter-in-law: Krista May; great-grandchildren: Kimberly, Ashley, Jordan and Alexis May, Joshua and Rachel Moore, Shelby Fields, Adrienne and Kameron Napier, Ashtyn Salyer, Mackenzie, Sadie, Gracie Napier, Sierra, Marisa and Preston Napier, Brady and Colin Napier, Bianca, Maddison, and Hayden Napier, Paxton Clay; great great-grandson: Jakob Cody; several nieces, nephews and many friends including her longtime friend, Juanita Schaeffer. The family would like to extend a special thank you to all those who have helped over the past weeks. The family will receive friends one hour prior to services from 10-11 AM Monday at Ferguson Funeral Home, 202 E. Main Street, (St. Rte 161W) Plain City where the funeral services will begin at 11 AM Monday, January 28, 2019 with Pastor Steve Hicks officiating, burial Forest Grove Cemetery. In lieu of flowers contributions may be made to the Loving Care Hospice of Marysville. Visit fergusonfuneralhomeinc.com to share a special memory.